Merde! The Liberals Are Giving Away Free Mittens For $100! 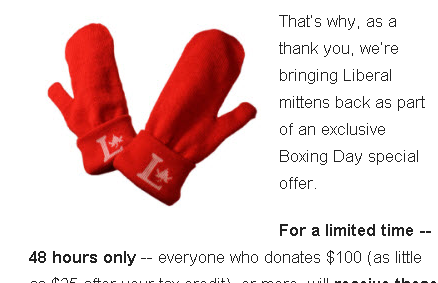 The Liberal Party of Canada is still giving away mittens with their logo on it to anyone who donates $100. 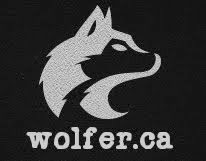 And anyone who donates $100 to the Liberal Party of Quebec receives no personal gifts but their contribution goes toward a new shopping centre in their riding. How can the Bloq compete with this? But then we had an idea. If you donate $100 we will send you as a special memento actual cigarette butts smoked by Rene Levesque himself. And for $200 get an empty bottle of vodka chugged by Jaques Parizeau.